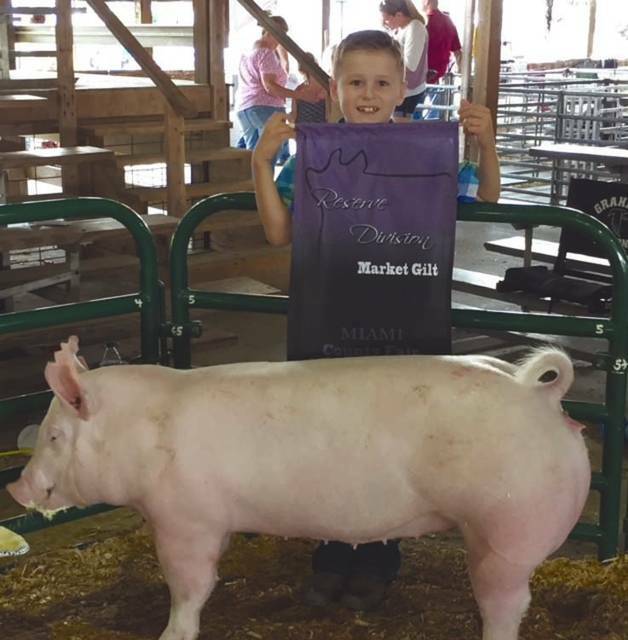 Lane Grube, 7, the son of David and Mindy Grube, won Reserve Division Market Yorkshire Gilt Born and Raised and Open Show with Frosty. Hailey Whitacre, 14, of Pleasant Hill, Reserve Grand Champion Senior Doe — Lionhead. She is the daughter of Chad and Shannon Whitacre and a member of the Rock-N-Rabbits 4-H Club. 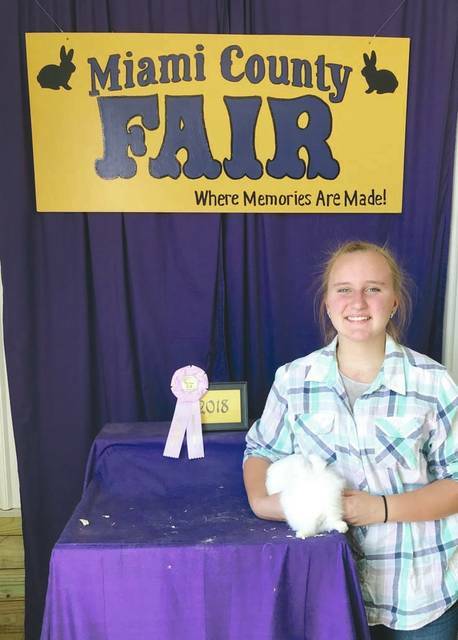 Hailey Whitacre, 14, Pleasant Hill, and a member of the Club-Rock-N-Rabbits 4-H Club. She is the daughter of Chad and Shannon Whitacre. 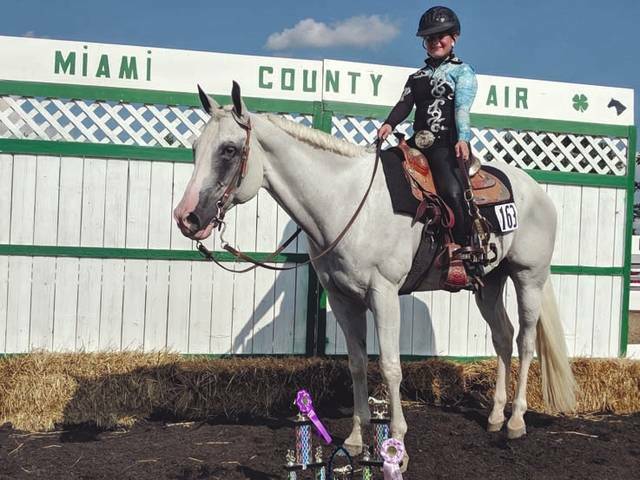 Sera Rush, 13, of Troy, and a member of the Boots & Saddles 4-H Club, won Grand Champion age 13-15 Western Showmanship, Reserve Champion Overall Western Showmanship. She also won the Grand Champion Western Pleasure and was the recipent of the Mike Moore Memorial Award. She is the daughter of Bobi Konicki and Rick Rush. Ella Warner, 15, of Covington, and a member of the Premier Livestock 4-H Club, won Reserve Champion Market Chicken. She is the daughter of Darryn and Danell Warner. 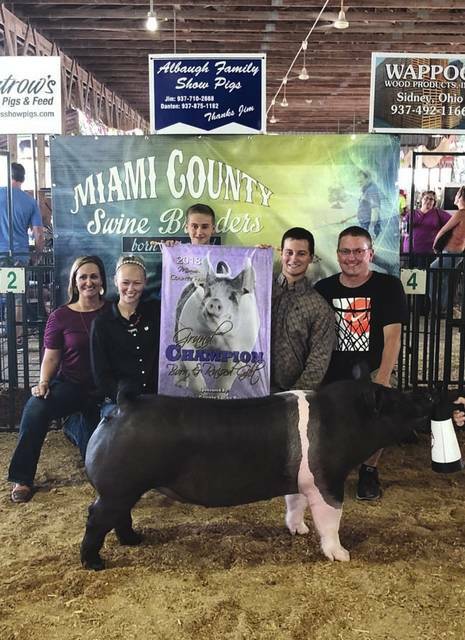 https://www.weeklyrecordherald.com/wp-content/uploads/sites/51/2018/08/web1_Grube.jpgLane Grube, 7, the son of David and Mindy Grube, won Reserve Division Market Yorkshire Gilt Born and Raised and Open Show with Frosty. 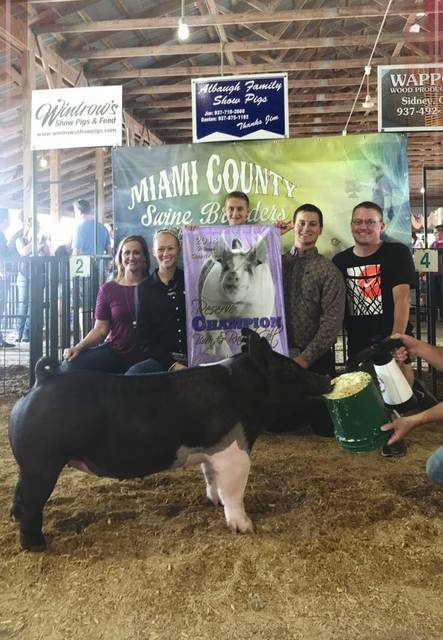 https://www.weeklyrecordherald.com/wp-content/uploads/sites/51/2018/08/web1_HaileyWhitacre1.jpgHailey Whitacre, 14, of Pleasant Hill, Reserve Grand Champion Senior Doe — Lionhead. She is the daughter of Chad and Shannon Whitacre and a member of the Rock-N-Rabbits 4-H Club. 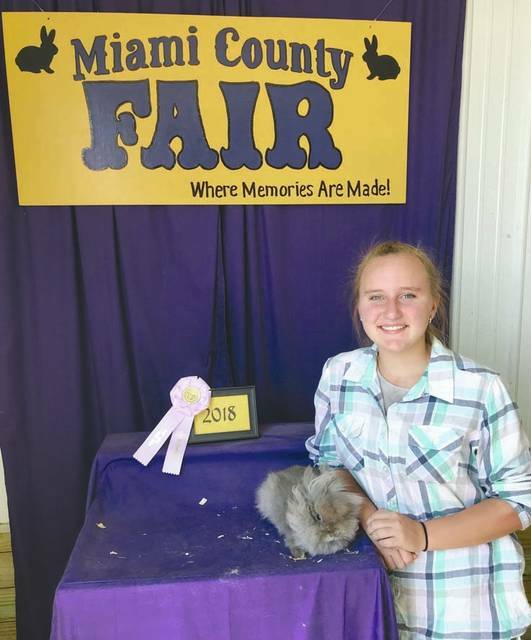 https://www.weeklyrecordherald.com/wp-content/uploads/sites/51/2018/08/web1_Whitacre2.jpgHailey Whitacre, 14, Pleasant Hill, and a member of the Club-Rock-N-Rabbits 4-H Club. She is the daughter of Chad and Shannon Whitacre.  https://www.weeklyrecordherald.com/wp-content/uploads/sites/51/2018/08/web1_Rush_new.jpgSera Rush, 13, of Troy, and a member of the Boots & Saddles 4-H Club, won Grand Champion age 13-15 Western Showmanship, Reserve Champion Overall Western Showmanship. She also won the Grand Champion Western Pleasure and was the recipent of the Mike Moore Memorial Award. She is the daughter of Bobi Konicki and Rick Rush. 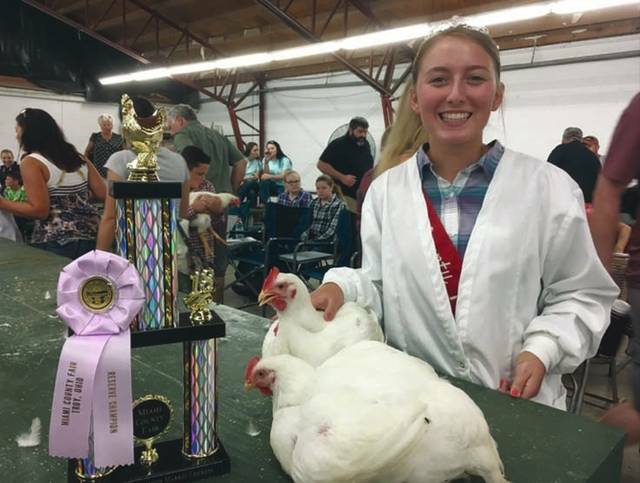 https://www.weeklyrecordherald.com/wp-content/uploads/sites/51/2018/08/web1_Warner.jpgElla Warner, 15, of Covington, and a member of the Premier Livestock 4-H Club, won Reserve Champion Market Chicken. She is the daughter of Darryn and Danell Warner.